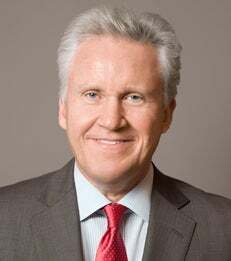 Jeffrey Immelt is the ninth chairman of GE, a post he has held since September 7, 2001. Mr. Immelt was the chair of President Obama's Council on Jobs and Competitiveness, and he is a member of The American Academy of Arts and Sciences. Mr. Immelt has been named one of the "World's Best CEOs" three times by Barron's, and since he began serving as chief executive officer, GE has been named "America's Most Admired Company" in a poll conducted by Fortune magazine and one of "The World's Most Respected Companies" in polls by Barron's and the Financial Times. In his address, Mr. Immelt will reflect on the global economy and the evolving role of organizations in a world that is more connected and that presents unique challenges and opportunities.